The announcement by the Chief Minister that the government is giving the go ahead for the Trusan Dam to be built came as a surprise to many, even the SEB Chairman. We did not expect that the government would still plan to build more dams, especially since its previous policy was not to pursue any more dam-building now that Sarawak has Bakun Dam. The late Chief Minister Adenan Satem had said categorically that there is no need for more big dams, and his statement was widely reported. It appears that the words of the late Adenan carry little weight now, and the assurances made by his government count for nothing. In the November 2014 Dun sitting, when I asked about the status of the then-proposed Lawas and Trusan 2 Dams, Minister Awang Tengah replied that ‘both dams are still in the feasibility study stage. When the projects reach the next stage full Social and Environmental Impact Assessment (SEIA) will be conducted.’ To my surprise, I read yesterday that SEB Chairman Hamid Sepawi had said that the feasibility studies for the Trusan Dam were completed 4 years ago. I would be interested to know what the actual situation is with regard to how the decision was made to build the dam, and what sort of studies had been done in the past. When even the Chairman of SEB expresses surprise, one wonders whether it was a decision made on impulse without consulting other stakeholders and experts. In the event that the project is to go ahead, the government must ensure that proper and thorough surveys are carried out, including the EIA and SEIA statements after full consultation with the people affected. Where there are NCR claims, the government must assure the people that they will be properly compensated. Compensation must not be based on the government’s narrow view of temuda, but on the adat of the people, which extends NCR to pemakai menoa and pulau galau. Unfortunately, in the resettlement areas of the Bakun Dam, the displaced people have been complaining of unkept promises and many are unhappy with their new lives. The government needs to do better in looking after the interests of our rural communities. COMMENT | The appointment of the present chief justice and president of the Court of Appeal to continue in their posts after the mandatory retirement age of 66 years, plus a further six months allowed by the Federal Constitution, has understandably generated a great deal of controversy in legal circles as well as the public. Many question the constitutionality of these appointments. It is unfortunate that we have the highest levels of our judiciary embroiled in a constitutional crisis, when it is the apex Federal Court that routinely deals with constitutional matters. Is it not apparent that the time is long overdue to appoint the most qualified judge from East Malaysia to fill the post of chief justice? And is it also not equally apparent that it is long overdue for a lady judge to be elevated to the position of one of the office-holders in the judiciary? It is imperative to address the lack of a gender balance in the top echelons of the judiciary. There are highly qualified women who are now Federal Court judges, who richly deserve the right to be considered for these posts. Siti Norma Yaakob was the last and only lady judge of the Federal Court appointed as chief judge of Malaya from Feb 8, 2005 to Jan 5, 2007. This was more than a decade ago. The judiciary, above all others, must uphold the Federal Constitution in word and in spirit. It must reflect, in its appointment process to high judicial office, the salutary Article 8 that, all other things being equal, there shall be no discrimination on the grounds of “religion, race, descent, place of birth or gender”. While preparing this statement, it was announced that Baroness Hale will be the first female president of the Supreme Court of the United Kingdom. A timely reminder for our judiciary from this fresh breeze from afar. 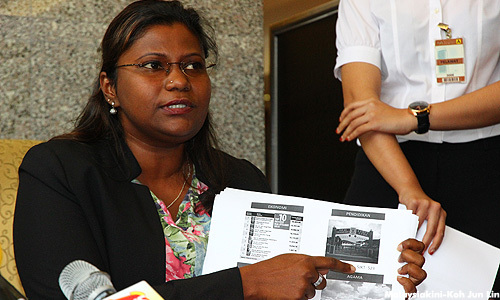 AMBIGA SREENEVASAN is president of the National Human Rights Society (Hakam). So, a Royal Commission of Inquiry (RCI) has been set up and will soon start the proceedings, in the hope of establishing a host of facts. There’s certainly nothing wrong with this – perfectly legal. Using provisions provided in the Federal Constitution, the system allows Joe Public to have privy and access to the reasons for decisions to the commitments made by our leaders and their reasons for doing so. But the immigrant problems still continue to prosper across the porous borders between the two countries. Ahmad Husni said the government also sealed NFCorp’s assets worth RM23.3 million - two pieces of land in Putrajaya, two units of real estate in Menerung Township Villa and three plots of land in Gemas. The government continues to service the loans taken by the developer. Even as this is written, the Port Klang Authority (PKA) owes the Treasury billions of ringgit. By the year 2051, PKA’s commitment will accumulate to RM12.4 billion. How is it going to get the money? 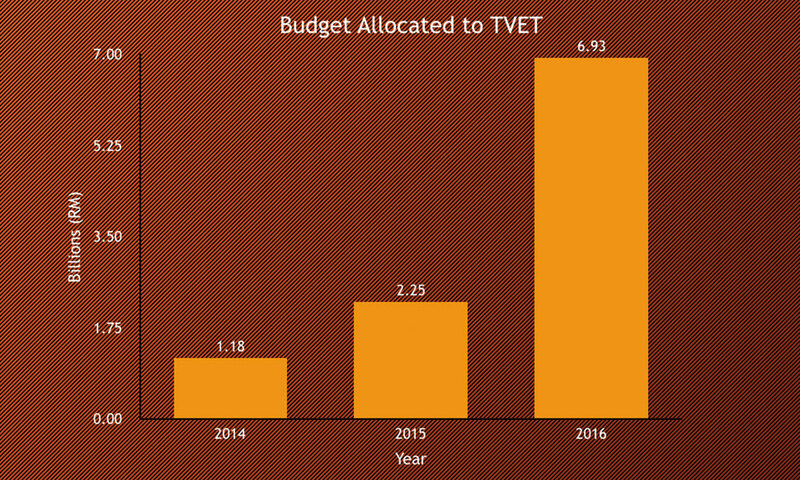 As a regulatory body, its revenues are meagre. Did anyone think about an RCI to get to the bottom of the issue? Bottom line: The loan will be written off and we, the people will have to bear that burden. 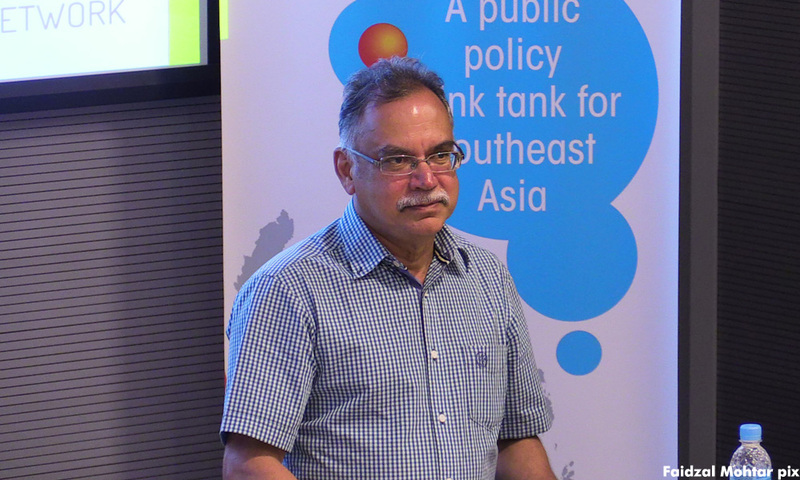 R NADESWARAN is an award-winning veteran journalist who writes on bread-and-butter issues with one agenda - a better quality of life for all Malaysians irrespective of colour, creed or religion. He can be reached at citizen.nades22@gmail.com. PARLIAMENT | Efforts to get the government to answer parliamentary queries related to 1MDB were derailed today when the Dewan Rakyat rejected more than 30 questions on the matter. The questions ranged from whether the government would table a White Paper on foreign intervention in the 1MDB case, to the government's stance on the US Department of Justice (DOJ) 1MDB-linked lawsuits. The Dewan Rakyat also rejected a question on whether the government would accept the return of money and assets, including jewellery, seized by the DOJ. The mood in the House was tense when opposition MPs stood en masse to voice out their frustrations. 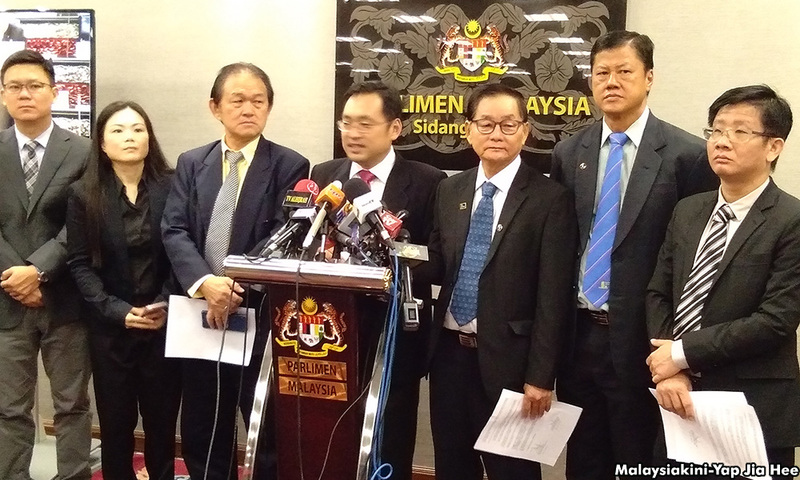 Gobind Singh Deo (DAP-Puchong) said Parliament cannot simply reject all questions on the matter, including his request for a status update on investigations into 1MDB. 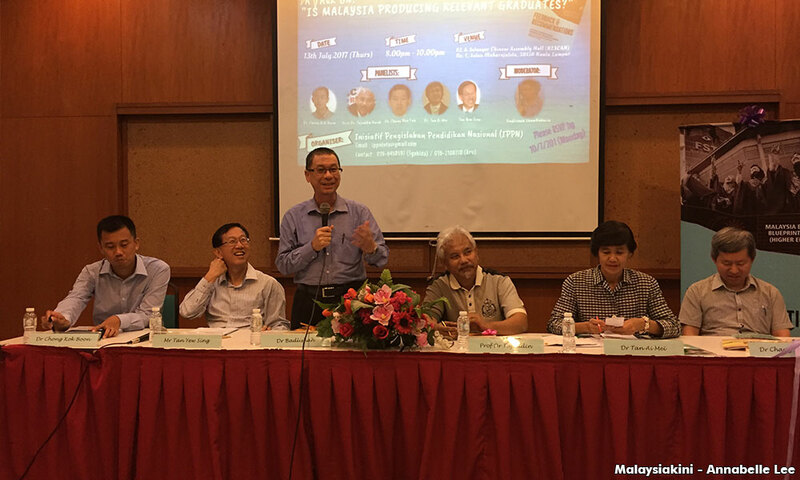 "You can't cover up (the 1MDB scandal) by stopping us from asking questions!" Gobind said. Fauzi Abdul Rahman (PKR-Indera Mahkota) asked why his question on the government's efforts to correct negative perceptions brought on by the DOJ suits was deemed to be offensive. "This question was deemed menyakitkan hati (hurtful to feelings). Whose feelings does it hurt?" Fauzi asked. His question was rejected under Standing Order 23(1)(c) which states that "a question shall not contain any argument, interference, opinion, imputation, epithet or misleading, ironical or offensive expression nor shall a question be frivolous or be asked seeking information on trivial matters". BN lawmakers responded by harping on Lim Guan Eng's (DAP-Bagan) bungalow scandal. 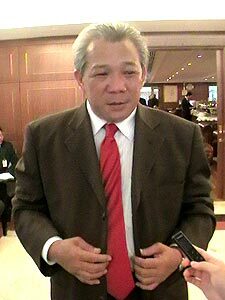 Bung Mokhtar Radin (BN-Kinabatangan, photo) said his question about the bungalow had been rejected because it was sub judice. 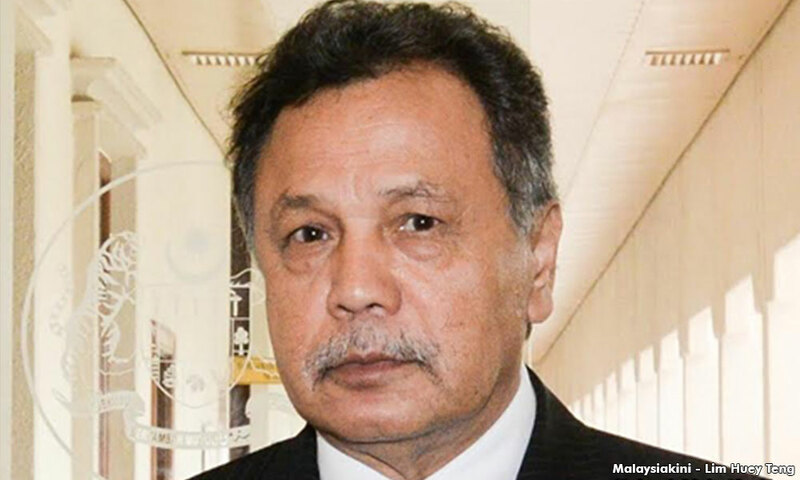 "But I made no noise because I accept that the speaker’s decision is final," Bung Mokhtar said. Deputy speaker Ismail Mohamad Said told all lawmakers who were dissatisfied that their questions were rejected to file a motion to seek a review. However, such a move has thus far proven to be unfruitful, with previous efforts to seek a review not making it to the House floor. Previous Dewan Rakyat meetings had seen certain questions related to 1MDB rejected, but not wholesale as was the case at today's session. 1MDB is the subject of multiple overseas investigations. The DOJ, for example, is seeking to seize more than US$1.7 billion in assets it claims were purchased using funds allegedly misappropriated from 1MDB. 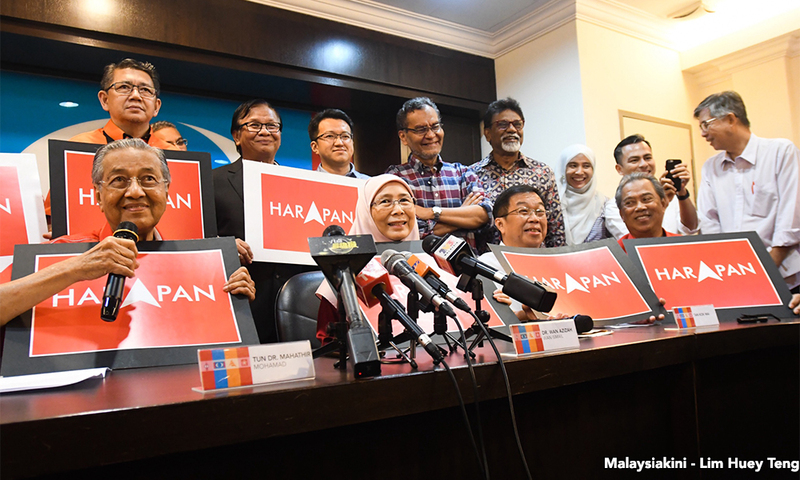 At a press conference in the Parliament media room later, Pakatan Harapan MPs revealed that questions related to former 1MDB subsidiary SRC International were also among those rejected. The following are some of the rejected questions and the reasons for which they were rejected. Did he make an official complaint to US President Donald Trump or the US ambassador to Malaysia if the US is considered to have interfered in the affairs of this country and what was their response. Standing Order 23(1)(g): A question shall not be so drafted as to be likely to prejudice a case under trial, or be asked to any matter that is sub judice. Gooi Hsiao Leung (PKR-Alor Setar) asks the prime minister to state specific details on how our country has cooperated with the US and other international authorities that are investigating misappropriation and laundering of 1MDB funds, as he personally said the country would do so during his trip to Germany on Sept 27, 2016. Standing Order 23(1)(f): A question shall not seek information about any matter which is of its nature secret. Gobind Singh Deo (DAP-Puchong) asks the prime minister to state the status of investigations into 1MDB and SRC and what action will be taken. Standing Order 23(1)(h): A question shall not be asked for the purpose of obtaining an expression of opinion, the solution of an abstract legal case or the answer to a hypothetical proposition. The appointment of Md Raus Sharif and Zulkefli Ahmad Makinudin as additional judges in order to extend their services as chief justice and appeals court president has sparked much debate in the legal fraternity. – EPA pic, July 22, 2017. 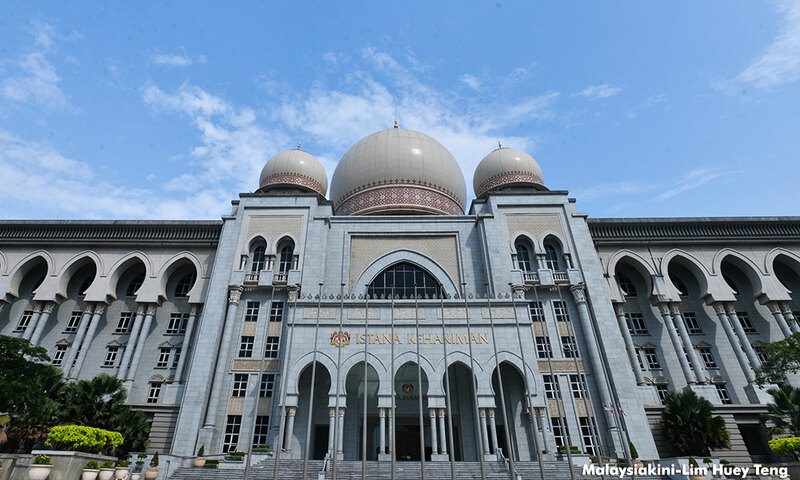 THE role of the Yang di-Pertuan Agong in the recent use of Article 122(1A) to appoint additional judges requires a separate and fuller discussion, said a constitutional legal expert. On July 7, the government extended the services of Chief Justice Md Raus Sharif and Court of Appeal president Zulkefli Ahmad Makinudin, who will serve an extra three and two years respectively. Both men were appointed as additional judges to keep them in judicial office beyond the age limit of 66 years and six months, pursuant to Article 122(1A) of the Federal Constitution. Universiti Teknologi Mara emeritus professor Shad Saleem Faruqi pointed to the provision that stated the Yang di-Pertuan Agong "must act on the advice of the chief justice." "Now, must the chief justice who renders advice, be the existing chief justice? Or can it be the former chief justice advising a prospective appointment, while he was still holding his post?" Shad said during a forum hosted by The Malaysian Bar in Kuala Lumpur last night. Present were former Federal Court judge Gopal Sri Ram and prominent lawyer Malik Imtiaz Sarwar. "Unless specified otherwise, it could mean a return to absolute monarchy, whereby the Yang di-Pertuan Agong has the final say," said Shad, who holds the Tunku Abdul Rahman Chair at Universiti Malaya. Shad further questioned whether the Yang di-Pertuan Agong's power under Article 122(1A) to appoint additional judges was a purely discretionary power or was this a "function under this Constitution or federal law" for which the prime minister's advice under Article 40(1) and 40(1A) was binding? "Additional judges can be appointed for such purposes or for such periods as the King may specify. However, can the purpose be to occupy the position of chief justice and president of Court of Appeal? Article 122(1A) reads: "Notwithstanding anything in this constitution contained, the Yang di-Pertuan Agong acting on the advice of the Chief Justice of the Federal Court may appoint for such purposes or for such period of time as he may specify any person who has held high judicial office in Malaysia to be an additional judge of the Federal Court, provided that no such additional judge shall be ineligible to hold office by reason of having attained the age of 66 years". "The superior civil courts are distinct from and independent of the other branches of state," he said. "But regrettably, the inferior courts are part of a fused judicial and legal service on which JPA (Public Service Department) head and the AG (Attorney General) have significant influence under Article 138." Under article Article138 of the Constitution, the AG chairs the Judicial and Legal Services Commission (JLSC). Prior to 1960, the Chief Justice chaired the JLSC. Former chief justice Abdul Hamid Mohamad had said that Article 122(1A) could not be used to extend the tenure of the chief justice. Hamid had also noted that the appointment of the additional judge must be on the recommendation of the chief justice, which meant that the chief justice will have to recommend himself if he is to be made an additional judge. As such, he said an additional judge cannot be the chief justice. 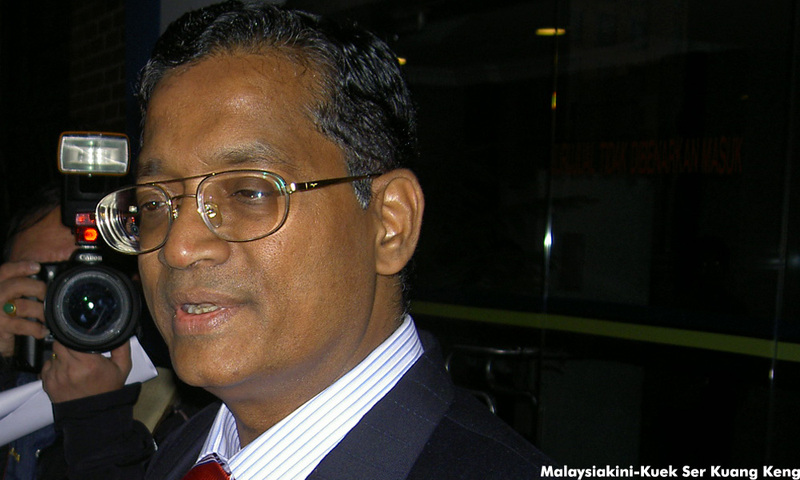 The government said the extensions were proposed by former chief justice Arifin Zakaria before he retired on March 30. Bar president George Varughese had called the appointments of Raus and Zulkefli as unprecedented, “troubling” and “blatantly unconstitutional”, pointing to five violations of the constitution in the extension of the two judges. The Malaysian Bar will hold an extraordinary general meeting (EGM) on August 3 at the Kuala Lumpur and Selangor Chinese Assembly Hall to get a mandate from its members before deciding on its next legal action. – July 22, 2017. A majority of students in institutions of higher learning have a high comprehension of what constitutes graft yet many have no problems with it. – EPA pic, July 19, 2017. AT least a third of public university students today believe that graft is morally acceptable and does not constitute a crime, according to a survey conducted by the Malaysian Institute of Integrity (IIM). Other findings from the survey, which IIM said was conducted “recently”, were just as alarming – nearly a third of students believe there is nothing wrong with stealing office supplies while a fifth had no problems with nepotism. 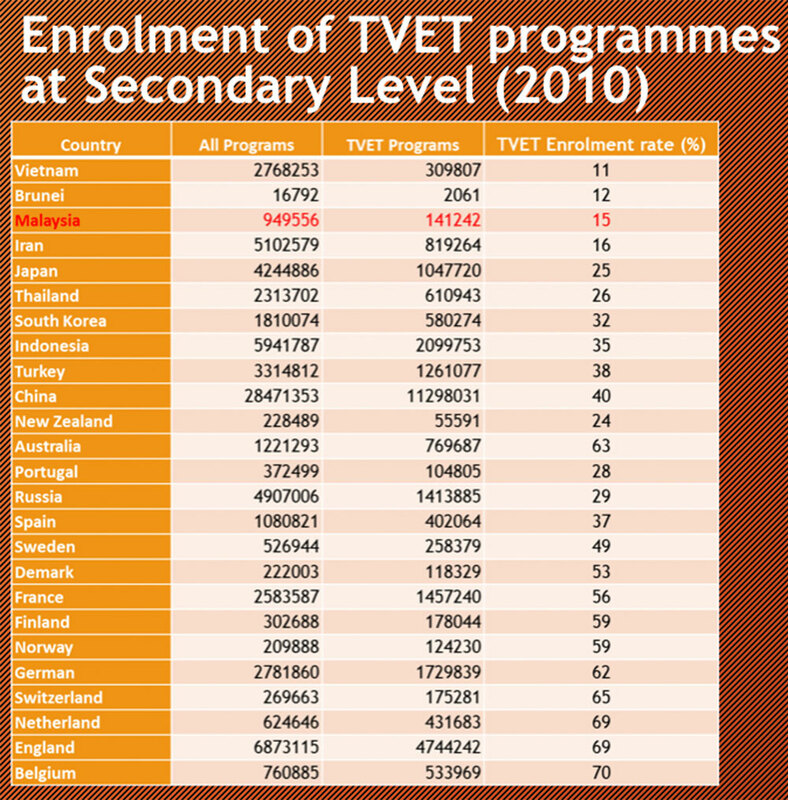 Of the 402 respondents, 33.1% are from Universiti Kebangsaan Malaysia, Universiti Sains Malaysia (47.5%), Universiti Teknologi Mara (15.9%) while the rest from unnamed public universities (3.5%). * 35.8% believe that the receiving gifts in the form of money, goods or services for services rendered is not a form of bribery. * 28.1% believe it is not wrong to take home office supplies, such as thumb drives, toner and paper, for personal use. * 37.3% believe that filing outstation claims, despite accommodation being provided by other sponsors, is morally acceptable. * 20.6% believe that actively appointing family members for vacant positions in a government department is morally acceptable. 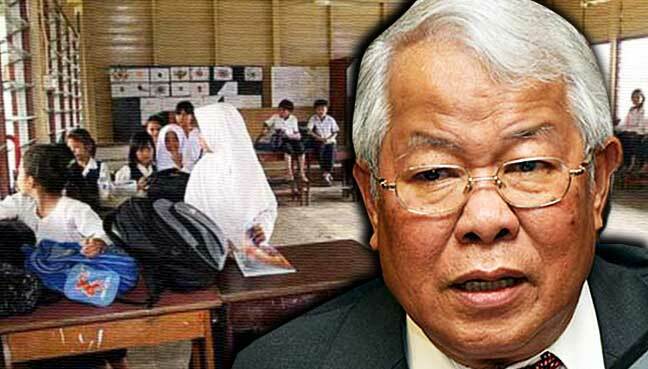 “The results are a concern,” said IIM CEO Dr Anis Yusal Yusoff in a statement today, adding that the country’s education might need “rethinking”. “A majority of students have a high comprehension of what constitutes graft. 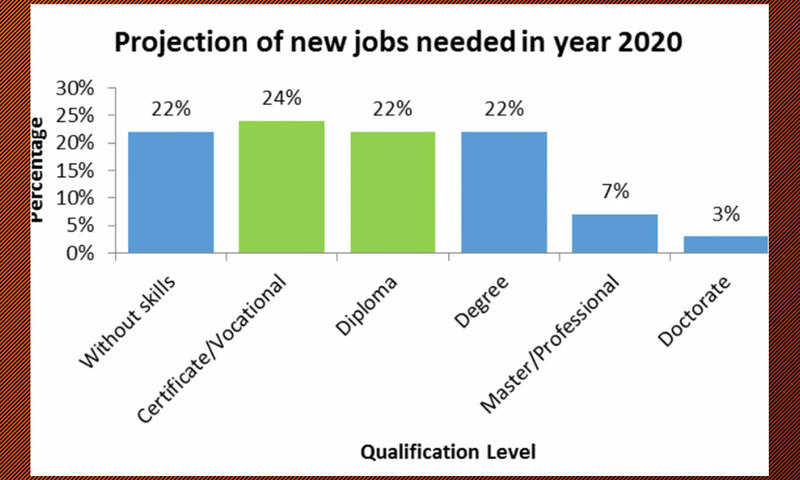 “We are concerned, as many of these students are about to receive their degrees and enter the workforce. Some of them may become leaders in their workplace of their communities. They are the leaders of 2050,” he added. Anis said the findings should not be disregarded. IIM was founded in 2004 by former prime minister Abdullah Ahmad Badawi. It is to conduct research on good governance in public institutions. – July 19, 2017. French investigators have charged two former top executives with corruption over alleged kickbacks from the 2002 sale of two Scorpene-class submarines to Malaysia, according to sources close to the long-running inquiry. Agence France-Presse (AFP) reported today that the two are Phillippe Japiot, former chairperson of French naval dockyards unit DCNI and Jean-Paul Perrier (in photo above), former chief executive of the French defence and electronics giant Thales. It also reported that one of the sources said Japiot has also been indicted for “abuse of social assets” and Perrier for “complicity in the abuse of social assets. The investigation was launched in 2010, after a complaint was filed by Suara Rakyat Malaysia (Suaram) in France in November 2009. The investigation was to determine if a former president of French defence group, Thales International Asia, had paid kickbacks to Prime Minister Najib Abdul Razak via his former close associate, Abdul Razak Baginda, for a contract to supply two Scorpene submarines to Malaysia. Najib was defence minister when the sale of the two submarines took place, through a joint venture between Thales and fellow defence company DCN. Razak Baginda, Najib and former Thales president Bernard Baiocco have denied the allegations. From 2001 to 2007, Japiot headed DCNI, the international branch of France’s naval shipbuilding operations, which last month changed its name to Naval Group. The Human Rights Commission (Suhakam) has called on the federal government to intervene in Kelantan's move to introduce public whipping for syariah offences. 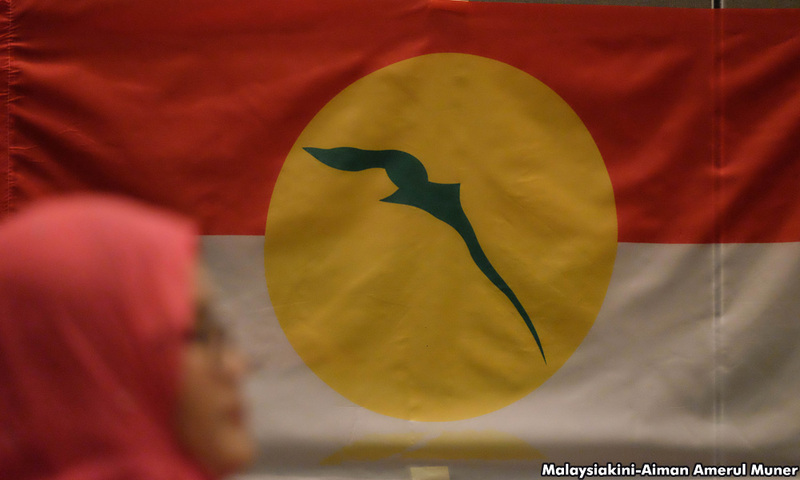 Suhakam chairperson Razali Ismail said the federal government must ensure that "human rights are respected throughout the country". 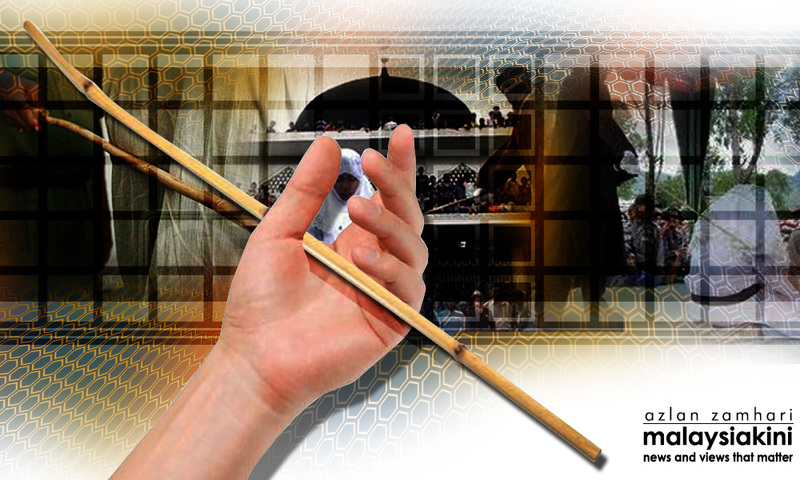 Razali said caning was a "cruel, inhuman and degrading" punishment that violated prohibitions against torture in human rights treaties that Malaysia had signed. "Caning should not be part of our criminal justice system as it has no rehabilitative potential," he said in a statement today. Last week, the Kelantan state legislative assembly unanimously passed the Syariah Criminal Procedure Enactment 2002 (Amendment 2017) Bill, which will, among others, allow for public whipping as a punishment. Deputy Prime Minister Ahmad Zahid Hamidi had said that the bill should be seen as only applying to Muslims in Kelantan. Razali, however, said that religious laws applied in states must adhere to Malaysia's human rights obligations. "States such as Kelantan cannot invoke provisions of national law to justify non-compliance with their obligations under international law," he said. Suhakam has called on both the federal and state governments to review all criminal justice laws to ensure a repeal of any provisions which contravene international human rights laws.